I’m hurrying to finish up an indexing deadline today, because tomorrow we are off on our camping trip! I mentioned on Facebook that we are going with every car charger known to man, so hopefully the fact that the site doesn’t have an electrical outlet won’t be particularly bothersome. (I know, I know – electrical devices aren’t exactly roughing it, but I have never been a fan of roughing it). Of course, a holiday isn’t a holiday without books, right? Since I’ve been pretty busy, I haven’t had much time to pick and choose, and there weren’t any new books that I felt like getting as an ebook (also, Kobo’s iPhone app, which I’ve been using, is kind of tricky – it allows offline reading on the one hand, but on the other hand, it requires Internet access first, before you can start reading (after which, true, you don’t need access), which kind of defeats the whole purpose of “offline reading”, if you ask me. And I’m not sure what kind of reception my phone will have on the shores of Lake Erie.). So I swooped down to the library (well, not really – it was more like, I quickly scanned the paperbacks while my seven-year-old, Dylan, went through his selection of books, deciding which ones he wanted to take out this week). Some Linwood Barclay books. I’ve been meaning to read Barclay’s novels for a while now. Back when I was still reading newspapers, Barclay’s humor column in the Toronto Star was a favorite of mine. I was pleased to discover a while back that he’s been writing mysteries and thrillers. In a quiet neighborhood, in the house next door, a family is brutally murdered for no apparent reason. You can’t help thinking, It could have been us. And you start to wonder: What if we’re next? Promise Falls isn’t the kind of community where families are shot to death in their own homes. But how well did Jim and Ellen Cutter really know their neighbors—or the darker secrets of their small town? They don’t have to look further than their own marriage to know that things aren’t always what they seem. Now the Cutters and their son, Derek, must face the unthinkable: that a murderer isn’t just stalking too close to home…but is inside it already. Tim Blake is an average guy. He sells cars. He has an ex-wife who’s moved in with another man. It’s not a life without hassles, but nothing will prepare him for when his daughter, Sydney, vanishes into thin air. At the hotel where she supposedly worked, no one has ever heard of her. Even her closest friends seem to be at a loss. As he retraces Sydney’s steps, Tim discovers that the suburban Connecticut town he always thought of as idyllic is anything but. What he doesn’t know is that his every move is being watched. There are others who want to find Sydney as much as Tim does. And the closer Tim comes to the truth, the closer he comes to every parent’s worst nightmare—and the kind of evil only a parent’s love has a chance in hell of stopping. Newspaper writer, family man, and reluctant hero Zack Walker has stumbled onto some dicey stories before, but nothing like what he’s about to uncover when a mutilated corpse is found at his father’s lakeside fishing camp. As always, Zack fears the worst. And this time, his paranoid worldview is dead-on. While the locals attribute the death to a bear attack, Zack suspects something far more ominous—a predator whose weapons include arson, assault, and enough wacko beliefs to fuel a dozen hate groups. Then another body is discovered and a large supply of fertilizer goes missing, evoking memories of the Oklahoma City bombing. But it’s when he learns that his neighbor is a classic Lone Wolf—FBI parlance for a solo fanatic hell-bent on using high body counts to make political statements—that Zack realizes the idyllic town of his childhood is under siege. The fuse is lit to a catastrophe of unimaginable terror. And with time running out, Zack must face off with a madman. A Stephen Booth Novel. 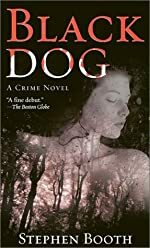 I’ve been meaning to check out British novelist Stephen Booth’s mysteries, so when I saw Black Dog (his debut novel) at the library, I thought it might be a good one to start with. Red Pyramid, by Rick Riordan. I saw Red Pyramid last month on a trip to Costco. It looked interesting. 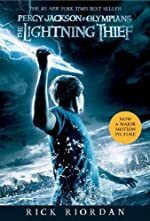 I haven’t yet read the Lightning Thief series yet (although I do own the entire set X 2 – don’t ask – and they’re all sitting on my TBR shelves). But I decided to put a request in at the library for Red Pyramid; it just came through, so I’m going to take it with me camping! Soon, Sadie and Carter discover that the gods of Egypt are waking, and the worst of them–Set–has his sights on the Kanes. To stop him, the siblings embark on a dangerous journey across the globe–a quest that brings them ever closer to the truth about their family, and their links to a secret order that has existed since the time of the pharaohs. When Miss Marple comes up from the country for a holiday in London, she finds what she’s looking for at Bertram’s Hotel: traditional decor, impeccable service – and an unmistakable atmosphere of danger behind the highly polished veneer. And for the drive there and back, my husband and I decided to purchase a headphone splitter so we can both listen to an audiobook on my iPod. Our choices? Jonathan Kellerman’s Gone, Compulsion and Rage. These are all re-reads for me, but new for my husband. A handful of BBC radio productions of Agatha Christie mysteries. 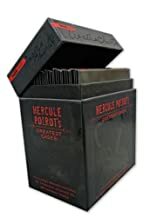 These wonderful two-hour audios are really wonderful; last year I splurged and gifted myself this boxed set of Hercule Poirot’s Greatest Cases, so we have a lot of titles to choose from. I also have a couple of new releases on hand. First up is Janet Evanovitch’s latest Stephanie Plum installment, Sizzling Sixteen. I don’t think I’ll ever read another Plum story in print again, but Lorelei King’s wonderful narrative abilities will keep me listening to each new novel. Evanovitch seems to have stopped with the plotting and/or mystery in her latest books, but she has a talent for a comedic turn of phrase, and with King at the audio helm, I suspect we will enjoy the book just for the dialogue. And finally, we have the latest Jack Reacher, 61 Hours, by Lee Child. Reacher isn’t really my cup of tea (the only Reacher novel I really enjoyed was the one where it was a team effort – Bad Luck and Trouble – I’m just not really into lone wolf types of novels) but I suspect my husband will enjoy his exploits. So … I think I’m going to be well-equipped along both the writing and reading front. Just not too sure how I’ll handle the camping end of things! 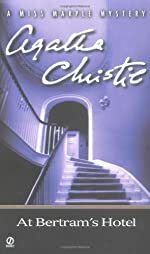 This entry was posted in Books and Reading, Writing and tagged Agatha Christie, Alex Delaware, camping, Hercule Poirot, holiday, Jack Reacher, Janet Evanovich, Jonathan Kellerman, Lee Child, Linwood Barcley, Lorelei King, Miss Marple, Rick Riordan, Stephanie Plum, Stephen Booth, writing goals on July 22, 2010 by Belle Wong. .-= rhapsodyinbooks´s last blog ..Review of “Have a Little Faith” by Mitch Albom =-. Wow! That’s a lot of reading material. How long are you going to be gone? Make sure you take some bug spray and have fun!! .-= Janel´s last blog ..New Story!! =-. I’m not a fan of roughing it either, but I’m sure you’ll have a great time. I hope you get lots done. But first of all good luck on your writing! I have been sooo good these days, writing more than 3,000 words in two days. For me that is a real achievement, and the funny thing is that this WIP is in English. One of my secrets is nice weather + my wonderful corner out of doors; it inspires me so much to sit out there (out of range of the TV). .-= Dorte H´s last blog ..Help found =-. I give you so much credit for going on this trip! My idea of roughing it is a Holiday Inn, so I am very impressed. .-= Molly´s last blog ..Life is a Verb- Week 8 =-. We used to love camping. In fact, we began our life together in an 18′ camper. I always said if we could survive living together in that sardine can, we could survive anything life might throw our way, and I was right. Tent camping was fun too, until it rained – which happened a lot when I went camping in a tent. Anyway, have fun and when you aren’t having fun, just escape in a good book. .-= Rural View´s last blog ..Review Book- The Cobra by Frederick Forsyth =-. I’ve never been camping, but I can’t imagine I would enjoy it! At least you have a plan to kkep busy – it would be fabulous to have so much reading time! I just got Sizzling Sixteen from the library. I have to say I agree with you about her books . I always read them, but after I close the cover I can’t remember a thing about the story except whether she was leaning toward Morelli or Ranger! .-= Megan @Momlarky´s last blog ..I Write Like =-. I love anything to do with ancient Egypt so I have to check out the Egyptian gods mystery. I’m like you in that I have to always have a “comfort” novel with me and dear Agatha is often one of them. Enjoy your camping trip. Wish I were off in the woods roughing it for a bit. LOL!! We too took a ton of car chargers last weekend when we went camping. What can I say? .-= Beth F´s last blog ..Weekend Cooking- Review- Chocolat Film =-.